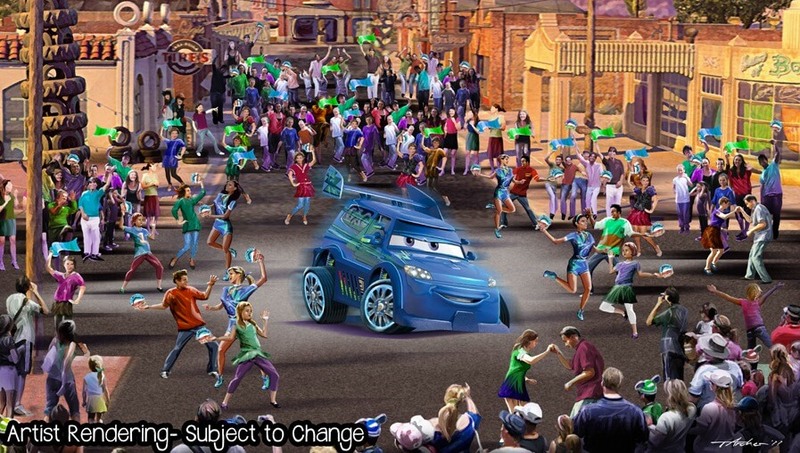 Not to be outdone by nearby Buena Vista Street’s recently-announced lively acts, Disneyland has revealed that Cars Land will also feature street entertainment that will be rolling in to the Disney California Adventure expansion when it opens this summer. Red the Fire Truck will arrive to Radiator Springs accompanied by a “Volunteer Firefighter” with the goal of watering plants in the area. But the street show will soon turn its hose on guests as things don’t go quite as planned. Disney California Adventure isn’t a stranger to getting its guests wet, as the park’s popular and water-packed Pixar Play Parade will return to the park the same day Cars Land opens, June 15, 2012. Disney California Adventure’s 5-year expansion project will wrap up when Cars Land and Buena Vista Street open in just under two months. It’s funny — but I have a hard time with getting wet in public and being sprayed by things. Sometimes I wish I had a different personality, but I only like getting wet at water parks like Typhoon Lagoon. I don’t have a strong desire to go to a parade that will spray water at me. Maybe I got old or something. I am not a fan of Splash Mountain in the parks because it just gets too wet at the end. If I was in a bathing suit, it would be one thing, but I’m always so scared my phone will short out and I never seem to have the extra money to replace it if that would happen. 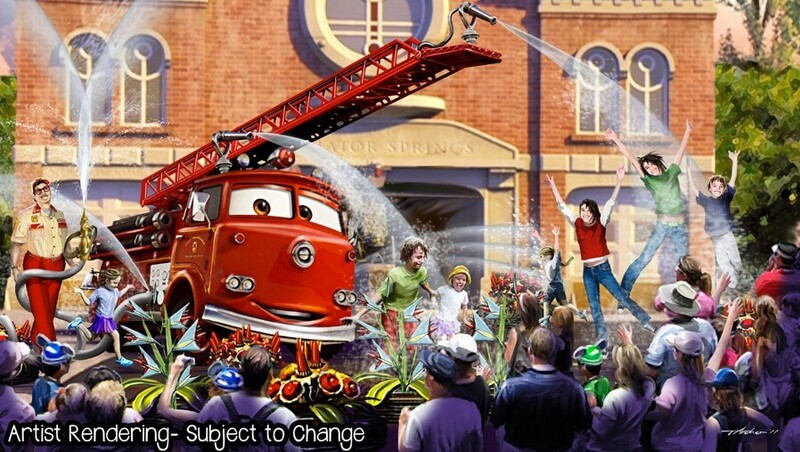 So, parade that shoots water at people equals big time angst for me. disneyland gets better every year the rides shows and attractions always go ahead of most entertainment companies. Sounds great. The water show should be very popular this summer. Internet, thy name is negativity. By the way, in case anyone was wondering, the DJ character is not new. He appeared in the Cars film. Sounds great but I would worry about all my cameras getting wet more so than me!